That is exactly what Cole got. His bottom teeth are in. I couldn't believe it, we all thought Cooper would be first, but Colie surprised us. 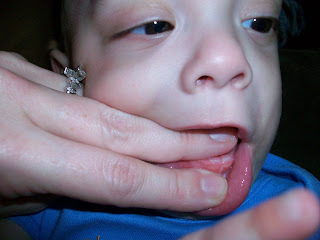 One tooth came in and then 2 days later his other bottom tooth was in. So now what is he up to? 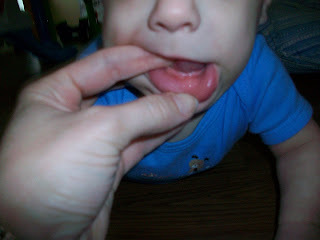 Funny you should ask, biting my finger of course! 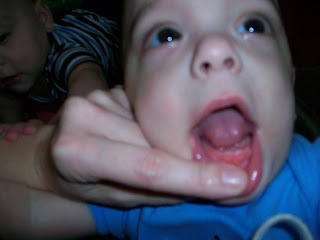 Here are pictures of his teeth. COLE, COOPER CASEN what do you see?